Hello! 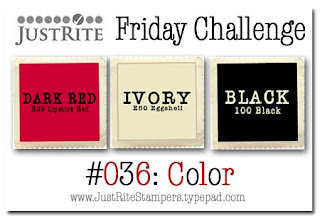 It's time for another JustRite Friday Challenge! This week is a color challenge, and the colors are Black (Copic 100), Ivory (Copic E50 - Eggshell) and Dark Red (Copic R29-Lipstick Red). 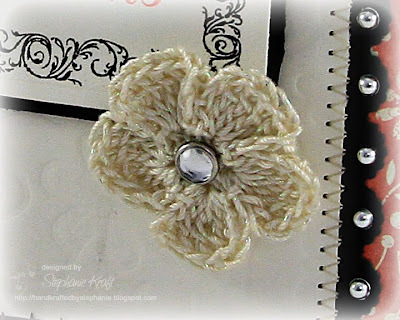 There's also a twist - to add a handmade embellishment to your project. 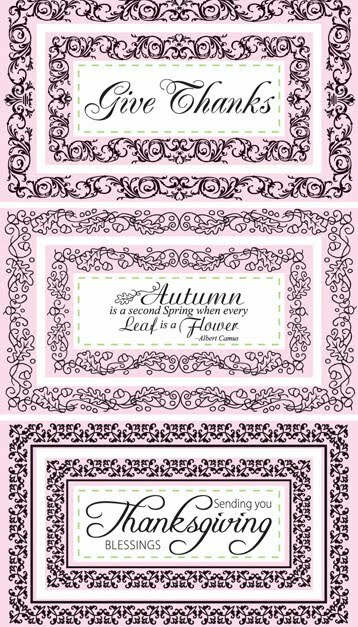 I used the newly released JustRite set, JB-09240 Give Thanks Nested Frames. I stamped one of the smaller frames in Memento Tuxedo Black and cut it out with Spellbinders Long Classic Rectangle Nestabilities (cutting it in two passes as Debbie showed here). I added Give Thanks with Memento Lady Bug ink. I added a thin black mat to the framed sentiment and popped it with foam tape onto my lightly embossed ivory layer (with Spellbinders Flower Silhouette Impressabilities). I added two scalloped borders and adhered 3 mm shiny silver pearls to each scallop. For my handmade embellishment, I used a crochet flower and added a rimstone to the center. Thanks so much for stopping by! I hope you will drop by the JustRite Inspiration blog and play along in this week's color challenge! 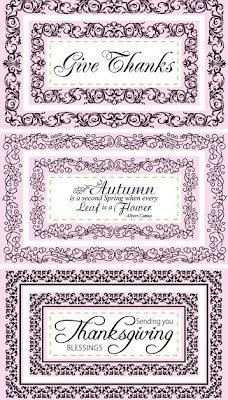 Dies & Punches: Spellbinders Long Rectangle Nestabilities SM (die 3, cut twice), Flower Silhouette Impressabilities, EK Success Scalloped Scallop border punch. What a beautiful card!! Sheer elegance. Love the new stamps and how you displayed them. Great colors, design and stitching. What an elegant looking card Stephanie! Great little detial touches as always! Wonderful card! The crocheted flower is a perfect touch!